Over the past few days, we have learned of two new ways that Google has been integrating its desktop Search with Android devices: finding your phone and sending directions to yourself. 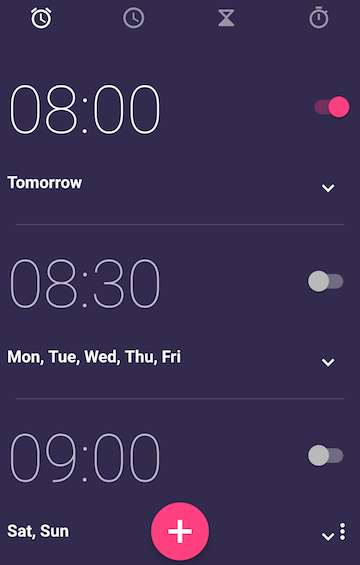 The Google Operating Systems blog (not associated with Google) found that other similar "searches" now make it possible to set an alarm or send a note to your phone as well. To send a note to yourself, you simply search for "note to self," or "send a note." 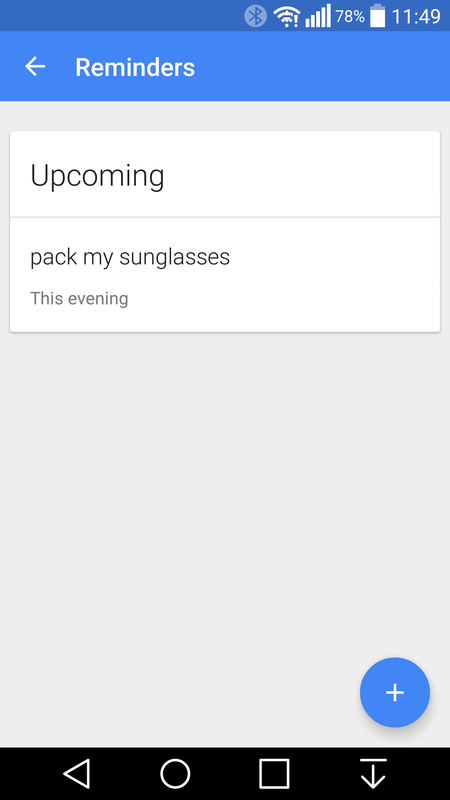 A card appears with a text field to write the content of the note and a device picker so you can choose which phone or tablet to send it to. 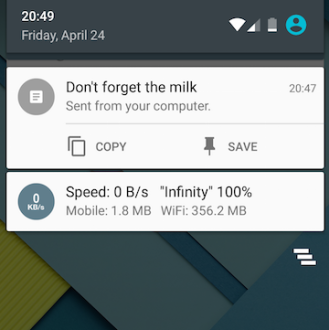 Once that note is sent, a notification pops up on your selected device with the option to copy the text (that's very Pushbullet'y) or save the note. If you tap the latter, you should see Gmail and Keep as the possible options. 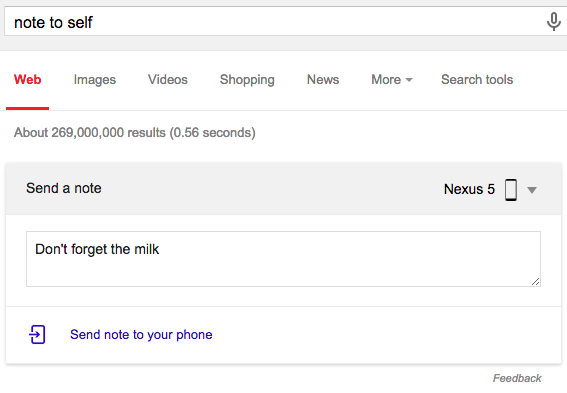 Alternatively, you can also write everything in the search query as in "note to self to buy bread," and the text field will be automatically populated. This matches discoveries made in an APK Teardown posted last year. 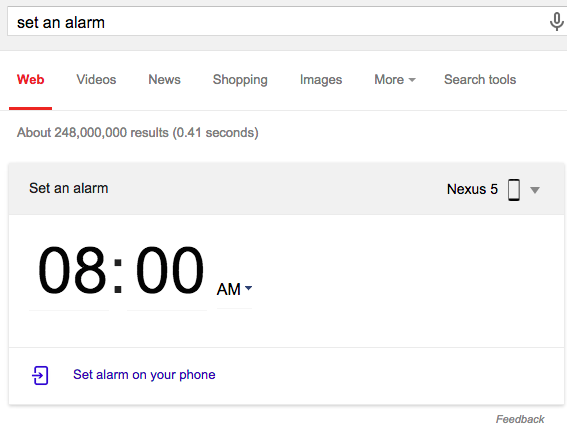 As for setting an alarm, you can search for a generic "set an alarm," or a more specific "set an alarm for 11:00." In both cases you can edit the time before you send it to your phone. You don't get any card or notification on your device, but you should instantly see a toast message then the alarm icon pops up in the status bar. To use this feature, you need the latest version of the Google app for Android, Google Now cards and notifications need to be enabled, Web & App Activity has to be enabled in Google Account History. Another requirement is to log in to your Google account. Google's own support page details the requirements, steps, and capabilities of this functionality, including a fifth command that a few of you had already pointed out. Simply search for "set a reminder" on your desktop, or click this link if you're not in the US, and you can type a reminder's text and assign a time or location to it then send it to your devices. 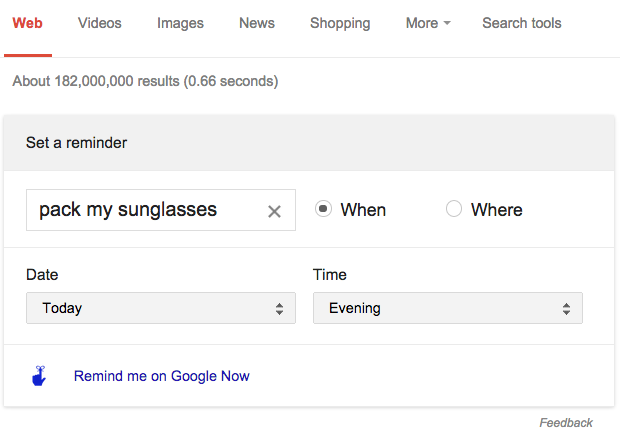 It will show up in Google Now's reminders and pop up when it's due.